One of the ways you can really maximise an outdoor space is by choosing furniture and decor that will transform it into a functional area. The possibilities are countless when it comes to what you can do to turn an ordinary garden or patio into an al fresco seating area, or a space available for garden parties and cocktails. When choosing cafe furniture to fill up your outside areas, rattan pieces are great options that can help to create an amazing ambience in your space. Rattan furniture can be styled and dressed up in many ways to give you both style and function. For instance, if you prefer sofa-style cafe chairs, you may add cushions and pillows to these to make them more comfortable to sit on, while at the same time adding a pop of colour or print that will enhance the look of your space. Various pieces can be mixed and matched to create beautiful outdoor sets of rattan furniture, from chairs and sofas to ottomans and table bases. These are usually more lightweight than their wrought iron counterparts, making redecoration and simple rearranging of furniture much more convenient. A great advantage of rattan is the flexibility of the material, which allows for it to be woven and shaped around frames of varying shapes and sizes. It creates a very strong weave that does not easily tear or unravel, especially when properly treated and coated. However, many are still wary of choosing rattan pieces because of the risk of quick deterioration. 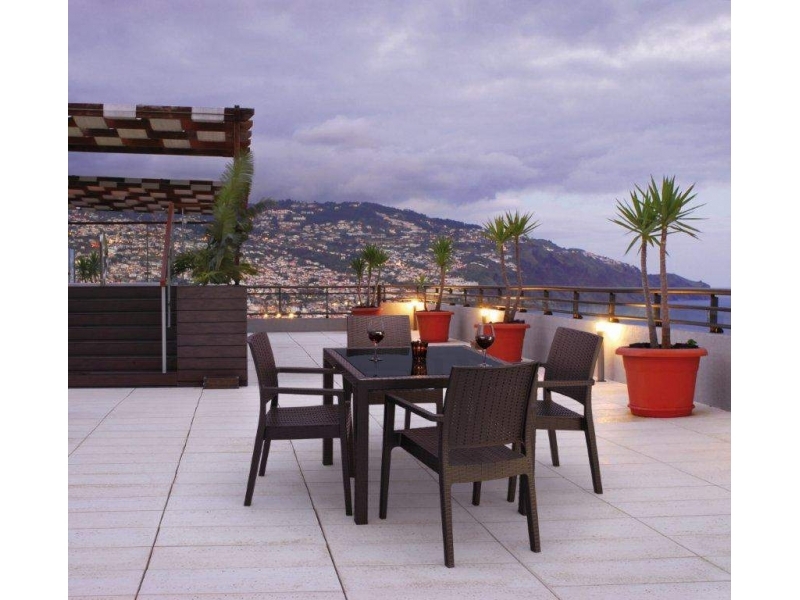 Instead, for their peace of mind, business owners choose to use outdoor commercial furniture made of moulded resin and glass fibre that are designed to look like rattan. From classic and homey to modern and sleek, these rattan-like chairs and table bases add the same look and feel to your garden or patio as the traditional wood weave. When properly coated with a protective finish, rattan furniture should last for years without visible damage to the weave or to its metal frame. Paint and clear shellac coating are among the more popular finishes to use for furnishings of this type. Alternately, you may also opt to go for rattan-like pieces such as the ones showcased by Nextrend. The line of Aruba Tub Chairs, for instance, will never rust or unravel. 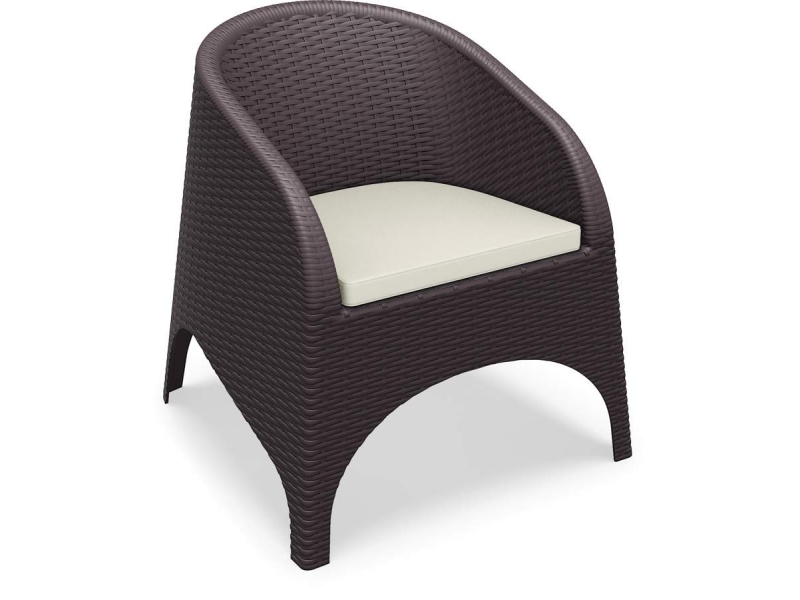 These are completely weather proof, and are made from moulded resin made to look like rattan, with frames of extra strong glass fibre. They add to your ambience the same way that rattan does and they are easy to clean with a simple hose down. They are easy to stack and store as well and are totally weather resistant. 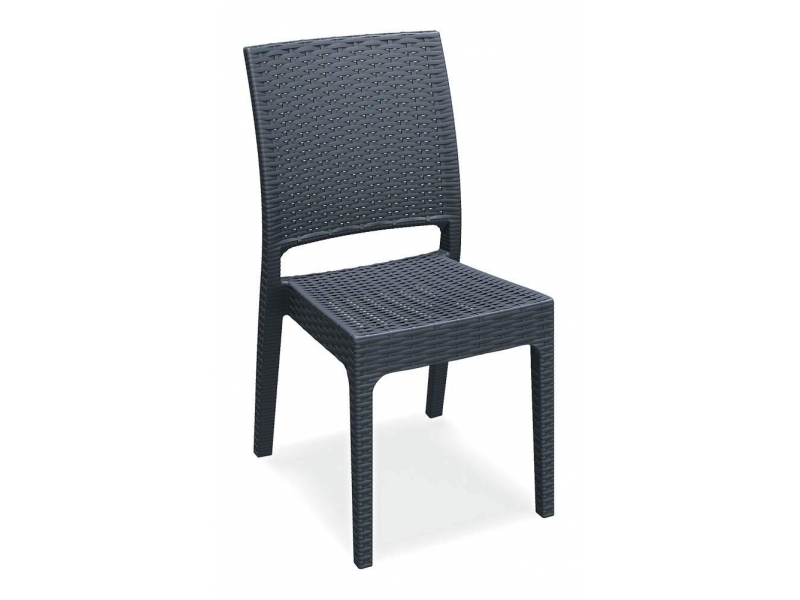 These, along with the other rattan-like pieces from Nextrend, such as the Florida Chair and Bali Table, are great for use both inside and outside your restaurant or cafe, as individual pieces and as furniture sets. Rattan furniture has long been a common type of furniture that continues to be preferred by many. No matter what your reason may be for choosing rattan or rattan-inspired furniture, make sure that you put careful thought and consideration to your choice. Did you know that Nextrend is a direct importer and stockist of resin rattan furniture in Australia? Head over to our dedicated page showcasing our wide range of resin rattan pieces to know more and request a free quote – thanks to our huge stocks, we can organise an immediate dispatch and have those delivered to your café tomorrow!